On March 25th we attended the Plucky Maidens Junkfest here in Portland. 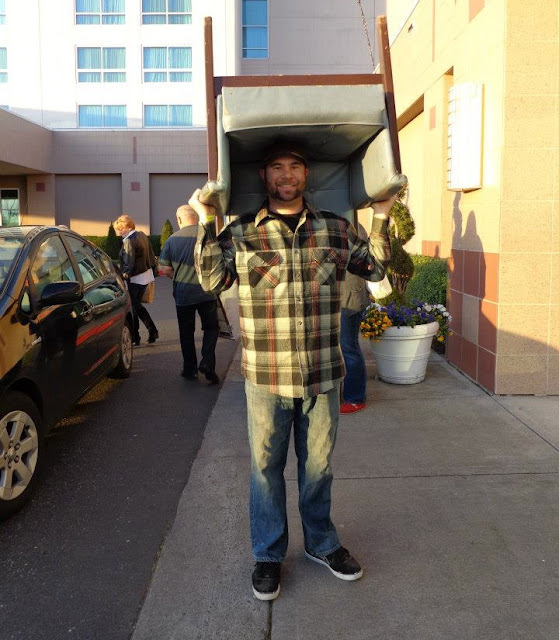 It was a great event and we found some amazing project pieces. We wasted no time in getting to work on them and now they have all been finished! If you have seen me at an estate sale this is a pretty common scenario. 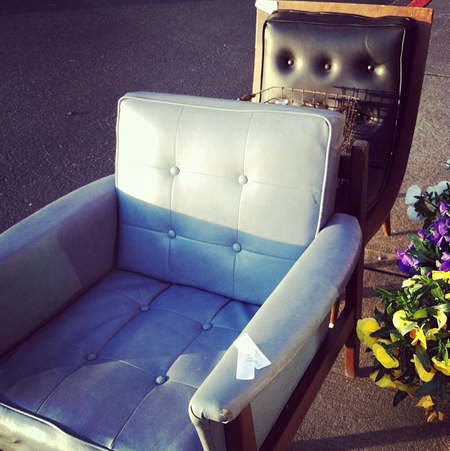 Heather snapped a quick photo of our finds before loading it up and taking it home. 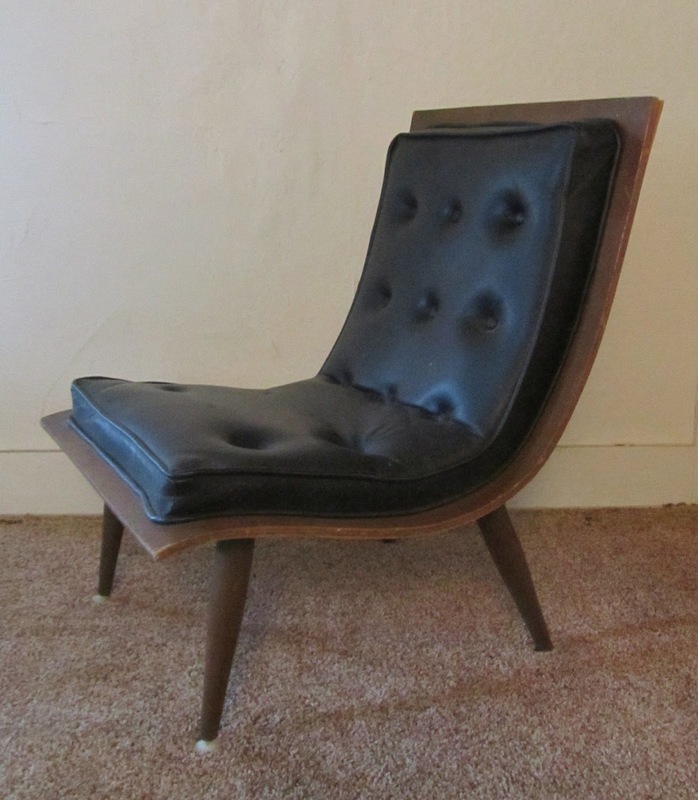 The Carter Bros. scoop chair that we found had been painted brown, was dirty, and missing buttons. 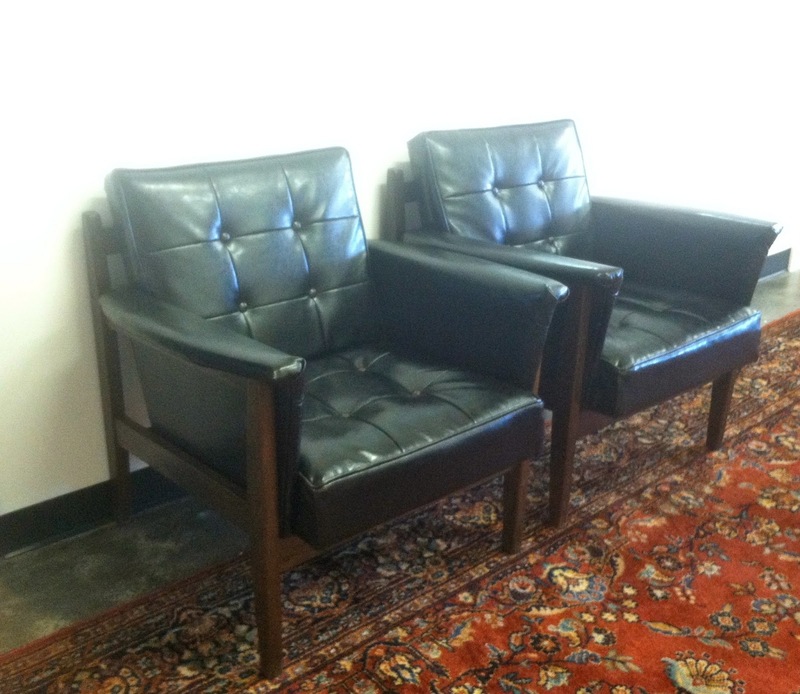 We were very pleased to find these Paoli Chair Co. armchairs. 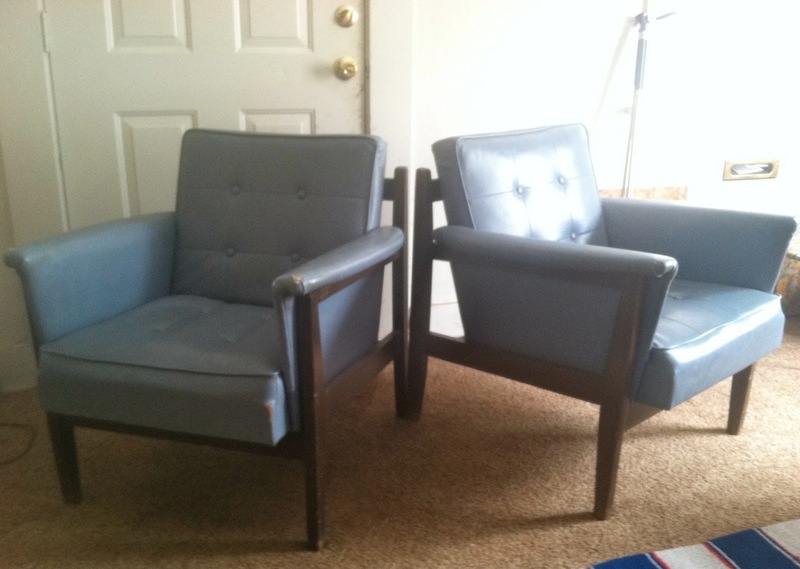 We had just reupholstered and sold a matching loveseat just a week before. These chairs were sold before we even had them finished. Here is a photo I snapped when I dropped them off to our customer. 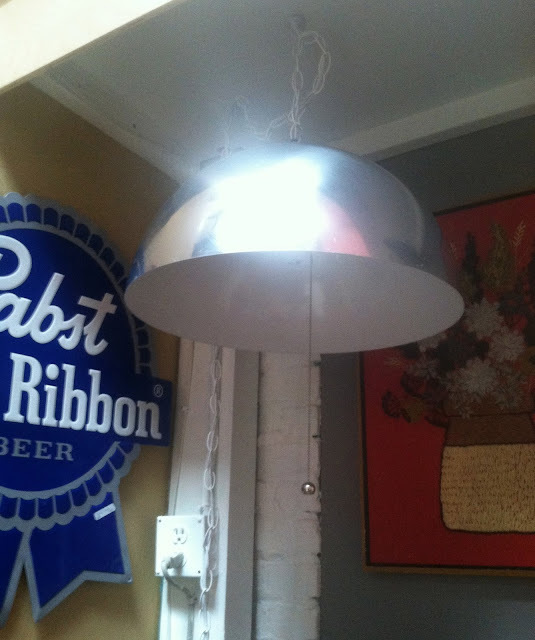 When I bought this chrome pendant lamp it was not working and was set up for hardwiring. I switched out the original wiring for a swag lamp kit and added a pull cord. It is now available at Hawthorne Vintage.